Lasik Surgery India is a treatment which is used to correct vision in people who are dealing with the condition of nearsighted, farsighted, or have astigmatism. All laser vision correction surgeries performed to reshape the cornea which is the clear front part of your eye so that light traveling through it is properly focused onto the retina located in the back of your eye. LASIK surgery is a surgical approach that has been used to reshape the cornea. a) Nearsightedness (myopia): This is a condition of your eye where your eyeball is slightly longer than normal or when the cornea curves too sharply. In such condition light ray focus in front of the retina and your distant vision becomes blurring. b) Farsightedness (hyperopia): This is your condition where your eyeball is shorter than an average or your cornea is too flat, in such case light focuses behind the retina instead of on it which makes your near vision, and sometimes distant vision, blurry. c) Astigmatism: This is an eye condition where the shape of your cornea is curved or flattens unevenly; this is a case of astigmatism, which disrupts the focus of your near and distant vision. What are the Risks of Lasik Eye Surgery India? a) Dry eyes: After the LASIK surgery there will be a temporary decrease in your tear production for about the first six months or so and you might experience unusually dryness in your eyes as they heal. Dry eyes can reduce the quality of your vision. In such condition, your eye surgeon will recommend you to use eye drops during this time, still, if you experience severe dry eyes then you could opt for another procedure where your surgeon will put special plugs in your tear ducts to prevent your tears from draining away from the surface of your eyes. b) Undercorrections: If there are too little tissues has been removed from your eye while performing laser then you won’t get the clearer vision results you were hoping for. Undercorrections are more common for people who are nearsighted and they need another Lasik procedure within a year to remove more tissue. c) Overcorrections: In case of overcorrection also it is possible that the laser will remove too much tissue from your eye. The chances to fix over corrections may be more difficult than undercorrections. d) Glare, halos and double vision: After your Lasik Eye Surgery India you may have difficulty seeing at night. You may also notice glare, halos around bright lights or double vision. This usually happens for a few days to a few weeks; even you have a good visual result that has been measured under standard testing conditions. You experience that your vision in dim light has been reduced to a greater degree after the surgery than before the surgery. e) Flap problems: During your eye surgery folding back or removing the flap from the front can cause various complications such as infection, excess tears, etc. The outermost layer of the corneal tissue may grow abnormally underneath the flap at the time of your the healing process. f) Vision loss or changes: As it is a surgical procedure and due to some complications in the procedure you may experience loss of vision. Some people may not able to see the objects as sharply or clearly as prior to surgery. 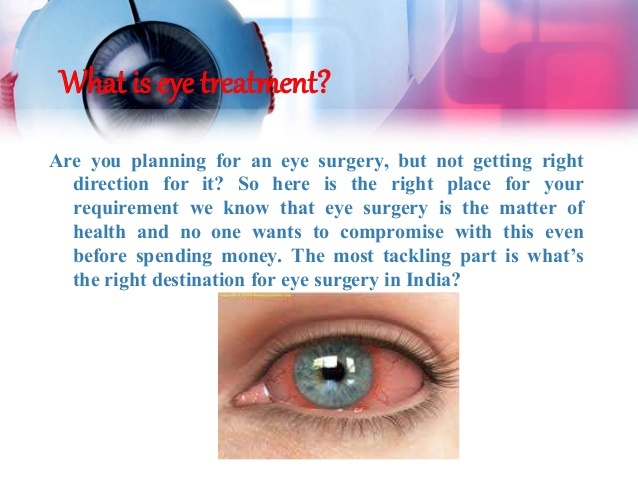 What are the benefits of Lasik Eye Surgery India? Lasik is a procedure which corrects vision and around 95% of the patients will have their desired vision after Lasik procedure. The people experience that their vision is corrected nearly by the day after they had Lasik surgery. The people who had undergone Lasik surgery experience less pain due to the numbing drops that are used before the procedure. In most of the cases, there is a reduction in eyeglass or contact lens after the Lasik surgery and there are many patients who no longer need the contact lens or glasses at all. After Lasik surgery, there is no need for bandages or stitches. To further correction in your vision the adjustments can be made years after Lasik surgery if vision changes while you age. What happens during Lasik eye surgery procedure? While performing Lasik eye surgery your eye surgeon will use an instrument called a microkeratome which is used to create a thin flap in the cornea. Your flap in cornea will become painless and the underlying corneal tissue is reshaped using another laser. 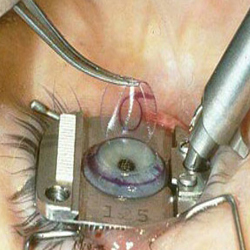 Once your cornea is reshaped it can properly focus light onto the retina and your surgeon will put back the cornea flap place and the surgery is completed. Your surgeon will perform Lasik surgery under local anesthesia which is in the form of eye drops and it will take only 5 to 10 minutes to complete. You need to make an arrangement that someone will take you home after your surgery as you will not be able to drive on that day. What can be expected after the Laser eye surgery procedure? After your Lasik eye surgery, you will experience temporary dryness in your eyes for which your eye surgeon will prescribe some eye drops to prevent infection and inflammation to keep your eyes moist. When you use these eye drops you feel a slight burn or blurring of your vision. It is advisable not to use any eye drops which are not approved by your eye surgeon. The recovery after Lasik eye procedure is quick and fast. You feel blurry and hazy vision for the first day, but in most of the cases, it has been noticed that people have improved vision within a few days of surgery. You need to revisit for an evaluation after 24 to 48 hours of your Lasik eye surgery and after that at regular intervals within the first six months. 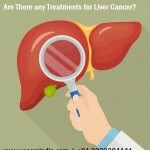 Are There Any Treatments For Liver Cancer? 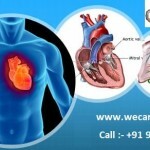 Why Surgeons Perform Valve Repair Surgery in India? 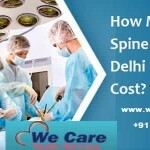 How Much Does Spine Surgery in Delhi Usually Cost? © Copyright 2010-2018 We Care Health Services. All rights reserved.